Writing on the relationship between war and cinema has largely been dominated by an emphasis on optics and weaponised vision. However, as this analysis of the Hollywood war film will show, a wider sensory field is powerfully evoked in this genre. 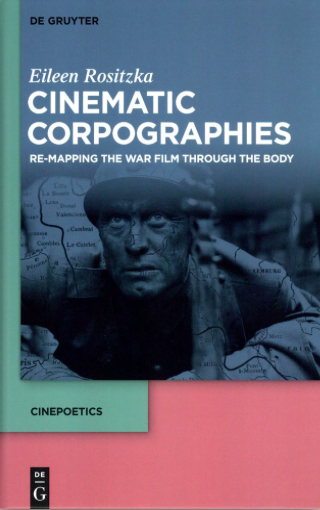 Contouring war cinema as representing a somatic experience of space, the study applies a term recently developed by Derek Gregory within the theoretical framework of Critical Geography. What he calls “corpography” implies a constant re-mapping of landscape through the soldier’s body. These assumptions can be used as a connection between already established theories of cartographic film narration and ideas of (neo)phenomenological film experience, as they also entail the involvement of the spectator’s body in sensuously grasping what is staged as a mediated experience of war. While cinematic codes of war have long been oriented almost exclusively to the visual, the notion of corpography can help to reframe the concept of film genre in terms of expressive movement patterns and genre memory, avoiding reverting to the usual taxonomies of generic texts. This entry was posted in casualties, corpography, film, late modern war, Vietnam, World War I, World War II and tagged bodies, corpography, Eileen Rositzka, war films by Derek Gregory. Bookmark the permalink.